Polzeath and Port Isaac area bed and breakfast accommodation. 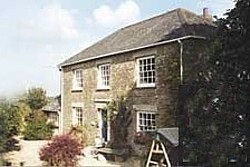 Quality guesthouse and farmhouse bed and breakfast accommodation in the Bodmin and Wadebridge area. Including Blisland, Cardinham, Lanivet, Nanstallon, St Mabyn, St Tudy, Polzeath, Trebetherick, Trelights, Port Isaac, St Kew Highway, Rock, St Minver and Tredrizzick. 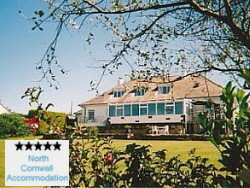 Bed & Breakfast accommodation in the Bodmin, Wadebridge, Polzeath & Port Isaac area. Little Pound bungalow is located in the quiet hamlet of Bodieve, within easy walking distance of Wadebridge and only a short drive to Rock and Polzeath. 2 double & 1 twin, both en-suite rooms with TV/DVD & tea making facilities, well ventilated and good light. At Menkee Barns guests will enjoy relaxing in spacious bedrooms and bathrooms, enhanced with fresh flowers and thoughtful extras. There are 3 bedrooms each with digital TVs, tea and coffee-making facilities, hairdryers etc. These lovingly converted buildings are set in lovely gardens in beautiful quiet countryside. Polrode Mill is a picturesque country cottage set in three acres of gardens and woodland, in the beautiful Allen Valley just a short drive from the picturesque fishing villages of Padstow and Port Isaac. The present cottage and former mill are Grade II listed and date from the 17th Century, although a mill has stood on the site since 1324. There is a special welcome with an optional Cornish cream tea at our peaceful and friendly farmhouse. For breakfast we serve home-reared free range bacon, sausage, eggs and honey. Sitting room with log fire. Treglown House is set amidst the beautiful rolling Cornish countryside with scenic views reaching across to St. Endellion church. Mobile Home also available. 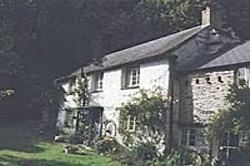 Westaway is located just one mile south west of Port Isaac. A friendly welcome is guaranteed and the accommodation is both comfortable and to a high standard. Stunning sea views incorporating both Trevose Head and Port Quin. 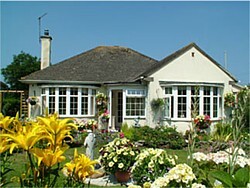 Quality guesthouse and farmhouse bed and breakfast accommodation in the Bodmin and Wadebridge area. Trebetherick, Trelights, Port Isaac, St Kew Highway, Rock, St Minver and Tredrizzick. 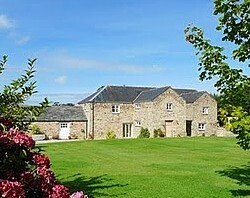 Find barns for sale in the UK and Ireland. along the coast to more inland locations including the towns of Wadebridge and Bodmin.